Consumer Watchdog Alert: Blatant capitalist propaganda afoot! The store 6moons coulda built. I'd first heard about Geoffrey Armstrong from Jacob George at Rethm. He had signed a dealer in Monaco. What I didn't know until just now is that Sound Galleries has selected for its brands a solid baker's dozen we've reviewed. Coincidence? Armstrong says not: "Sound Galleries is very much inspired by 6moons. 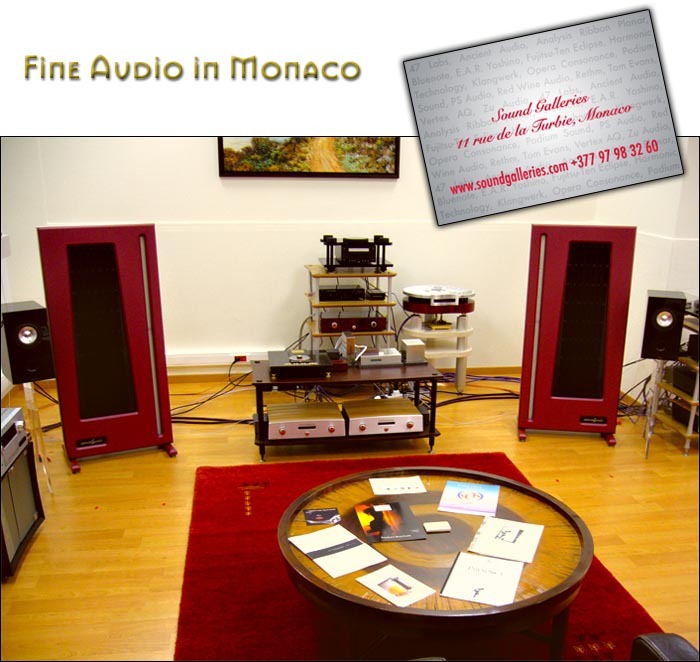 Here you will find 47Labs, Analysis ribbon/planar speakers, Ancient Audio, Opera Consonance, Podium Sound, Red Wine Audio, Rethm, Tom Evans and Zu, together with longer established companies such as E.A.R Yoshino and PS Audio. We even feature a Garrard 301 mounted in a Cain and Cain plinth as per Jeff Day's Garrard 301 project." margins, the biggest name recognition or the highest prefab must-have factor. They were informed by refined taste which will require demonstrations and education to pass on. Not the move of a fast-buck or web scam artist. 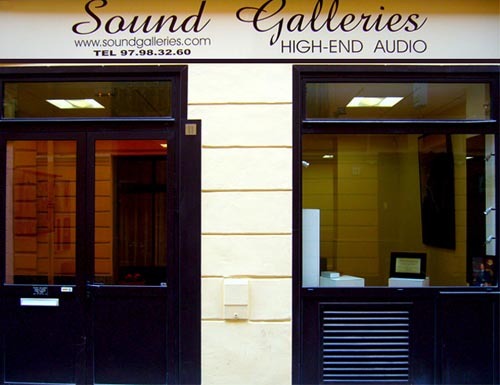 "Sound Galleries is a new audio auditorium that's recently opened in the heart of the main shopping area of Monaco. It is in a small street which runs off Rue Grimaldi with a 95 sq meter space dedicated to auditioning. We aim to bring you high value for money, over-achieving products that result in systems which are natural, lifelike and capture the excitement of live music. Our systems start at around €3000 - €4000 and top out at around €30,000 - €40,000. 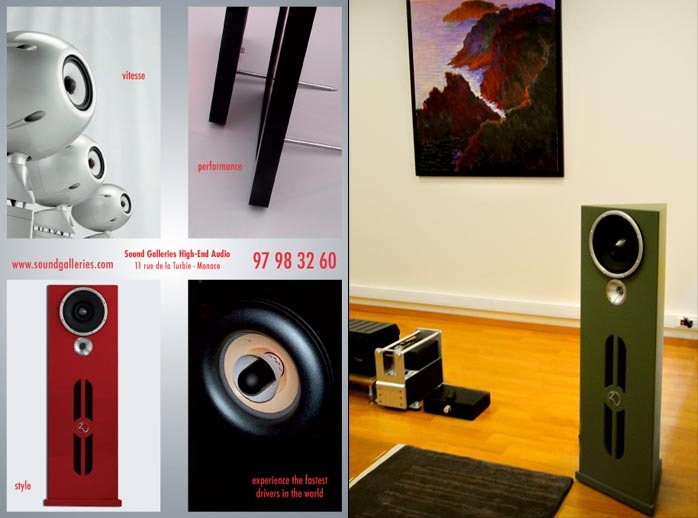 "At Sound Galleries you can experience first hand many of the cutting-edge components you've been reading about as well as benefitting from full back-up and installation services. You will also find our prices highly competitive. There is plenty of parking very close by at the Place d'Armes and elsewhere, as well as delivery spaces right in front of the store. We look forward to welcoming you for an audition." Geoffrey Armstrong, Director, Sound Galleries.